I observed M78 &34 in Nov. midnight with my 15″ Dob. The nebulousity of NGC 2071 is shine dimly. Where does this tropical fish came from? 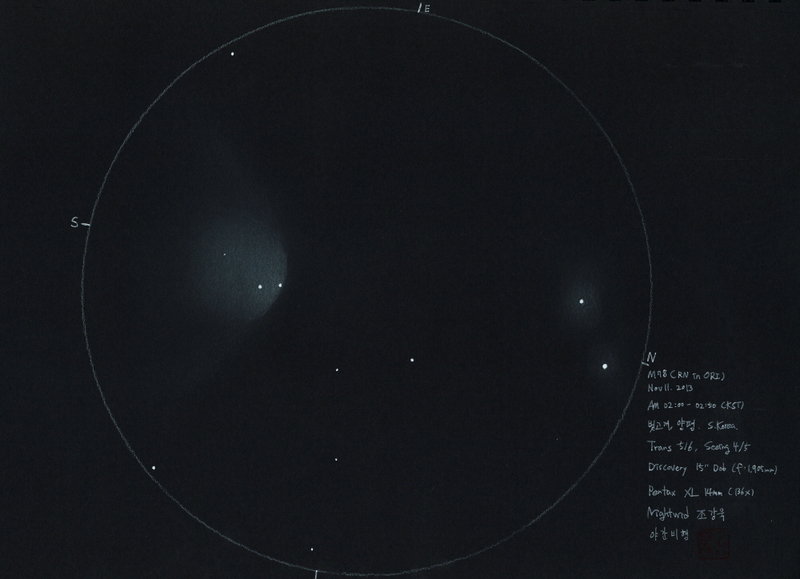 A very nice eyepiece-true sketch of this reflection nebula.